Ecommerce businesses can leverage Selling on Marketplace to drive discovery and sales of your products. Businesses can also leverage Marketplace’s Daily Deals program, which connects limited-time product promotions to shoppers on Facebook. Zentail is a listing partner for Facebook's Selling on Marketplace Daily Deals offerings. Ecommerce businesses using Zentail can now tap directly into the Marketplace community to promote and sell their products. 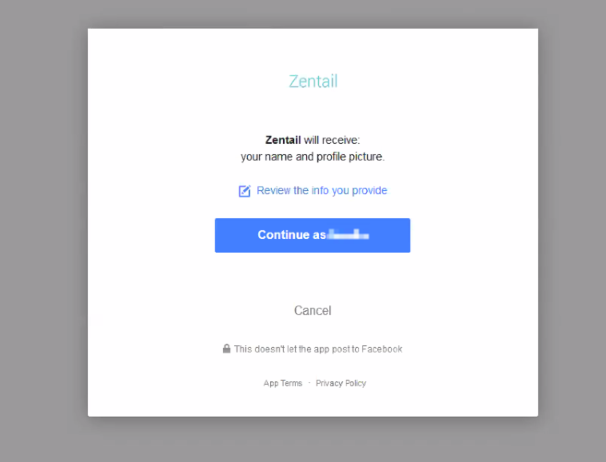 Set up a Facebook Page that Zentail can connect to! - You should be one of the Admins for that Facebook page. Make sure you're using a shopping template on your page. 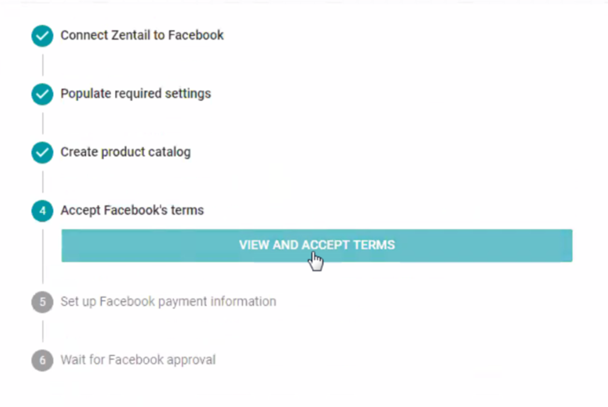 On your Zentail integrations page, navigate to the Facebook integration. 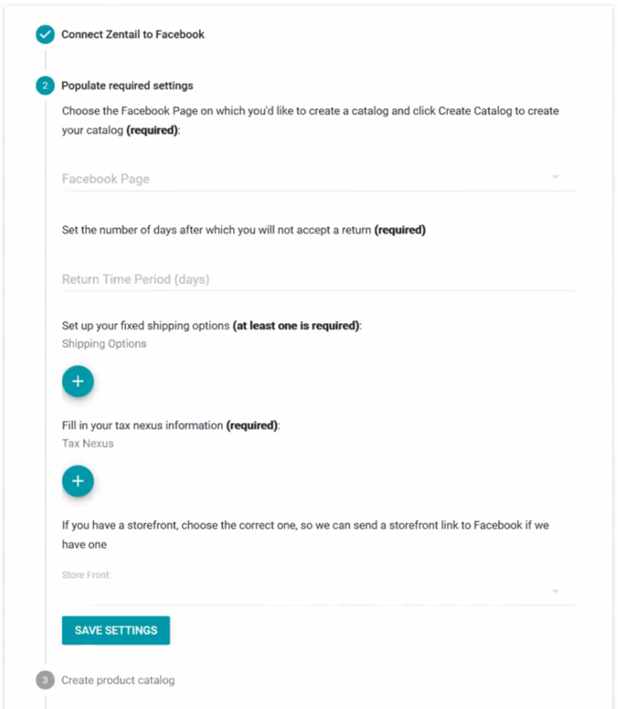 Click the button to Continue with Facebook. You will be brought to Facebook. Click the button to Continue. 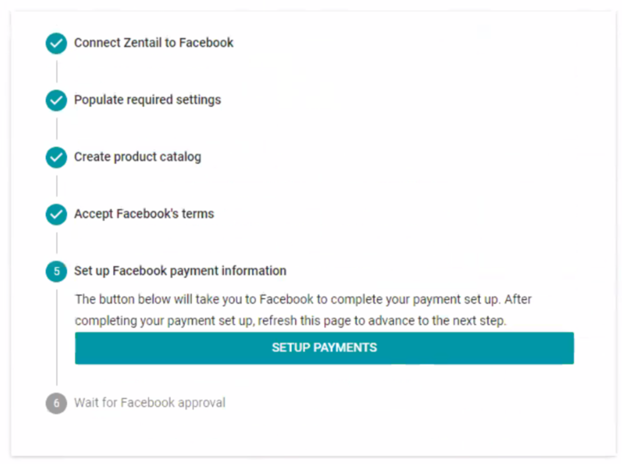 When prompted with the pop up reading "Zentail will like to manage your Pages and show a list of Pages you manage", click OK.
Facebook Page - This is the page Zentail will manage. Select the appropriate Page from the dropdown. If you have multiple pages you need to manage through Zentail, please reach out to [email protected]. Return Time Period (days) - This is the number of days after a product has been delivered that you are willing to accept a return. We recommend 30 days for this field. *Note about returns: You must give buyers at least 30 calendar days to return an item. See facebook.com/seller_faq. Shipping Options - Create your shipping options! - Ship Time: the expected shipping time, including handling and transit time (we recommend Min Days: 4 and Max Days: 7 for Standard shipping). - Waive Shipping Cost (optional): This field gives you the option to waive shipping (or offer free shipping) if the purchase is above a certain price. - Additional Item Cost (optional): Use this field to add an additional cost per item within an order. 1) You must ship the package within 3 days. 2) Your customer must receive the package no more than 10 days after they place an order. 3) You must use shipping services that offer tracking and delivery confirmation. See facebook.com/business for more information on Shipping requirements. Tax Nexus - Enter your state and Tax Registration. This will appear in your Company Settings page and can be edited there. Store Front - Enter your webstore. 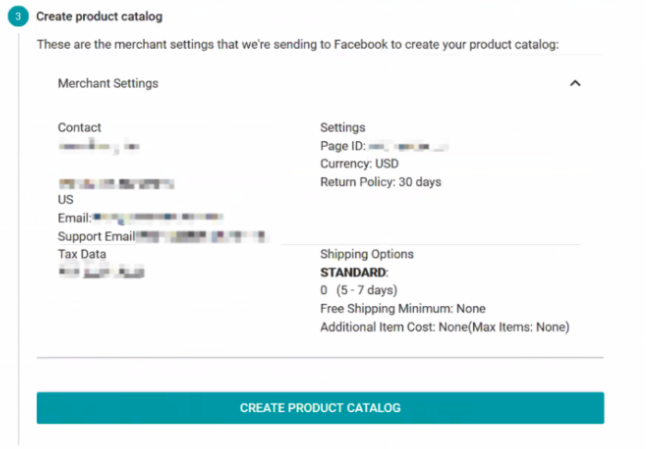 This will allow Facebook to link to your webstore as an optional experience for customers. At this stage, you should confirm the info on Zentail. Once confirmed, click Create Product Catalog. 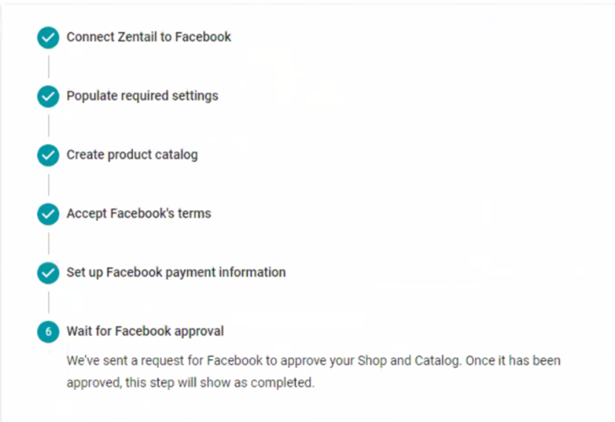 Zentail will create a new Facebook Shop based on the information provided. If you have an existing Shop, you must delete this Shop before moving forward. Once your existing shop is deleted, products will be removed from your catalog. Products will still exist in your Business Manager. 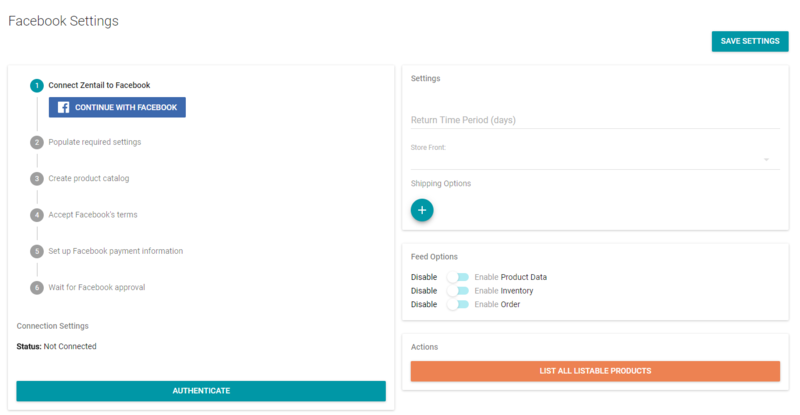 - If your shop was created through a separate integration, follow the steps according to your previous integration on how to delete your Shop. Zentail will create a new Shop for you that you can populate by setting SKUs to List! Select the View and Accept Terms button. note: Facebook will store this information and share it with the payment processors. Your sales will be sent to your preferred bank account on a rolling basis. At this point you're integrated with Facebook Marketplace - congrats! You have a Facebook Shop created and connected to Zentail, and you can begin creating new listings. Facebook will review your information and approve your business based on the listing criteria for Selling on Marketplace and Daily Deals. Which businesses are eligible for Marketplace? In order to ensure a positive experience for both people and businesses, Marketplace will be using an application process to add new eCommerce businesses to the platform during roll out. The following criteria will be used to prioritize eCommerce business selection. Orders shipped within 3 days, received within 7 days. Returns accepted within 30 days of receipt. High-quality product listings - should include complete product name and short description, single product thumbnail image on solid background with no graphic overlays, text, icons or badges, and recommended to have additional editorial or alternative view images of products. Make sure to review articles on setting up Daily Deals, setting SKUs to list, and the best practices for selling on Facebook.